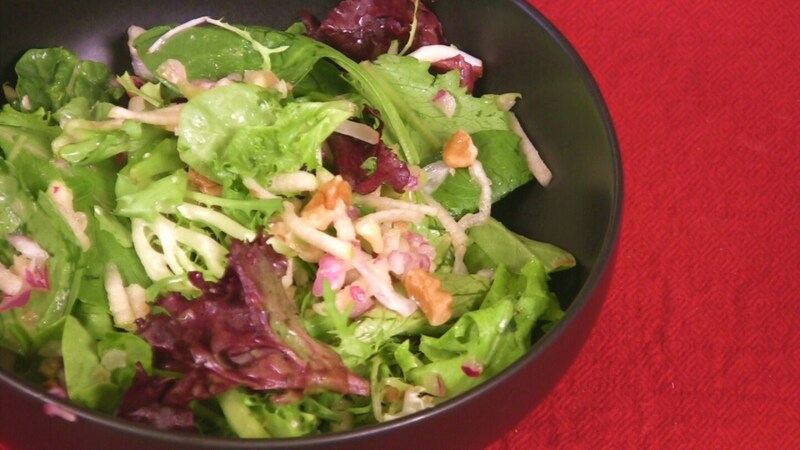 Combine salad greens, walnuts, onion, and apple or cherries in a large bowl. In a small bowl or cup, mix vinegar and juice. Dress the salad just before serving.